Don (Spokane, United States) on 2 May 2010 in Abstract & Conceptual. 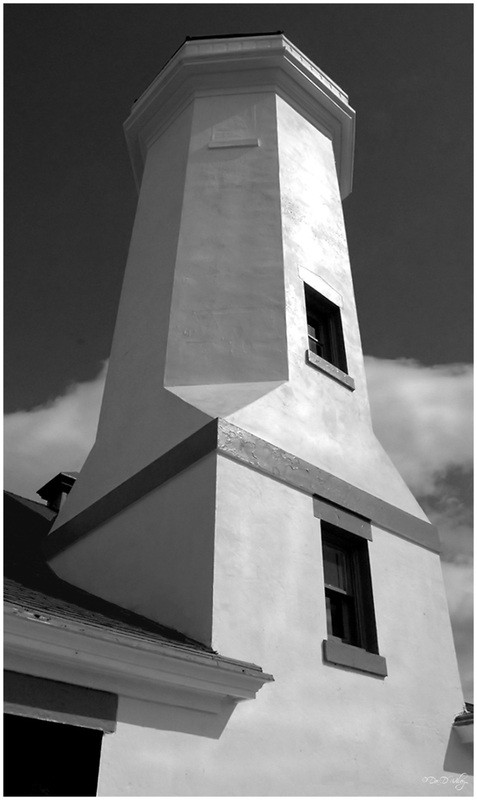 I liked the contrast in the shapes on this lighthouse and decided a conversion to black and white might be worthwhile. The Point Wilson Lighthouse is in Port Townsend, Washington. A great choice for black and white! Very interesting shape and construction and nicely captured in this photo. I like the angle in witch you took this,really made this a strong,interesting image! Très bel angle, pour cette forme exceptionnelle. Super POV and interesting shapes here :) Greta mono too . This works very well in b&w, great shapes and tones. The shapes make this picture very interesting-- I would never have guessed a lighthouse. Wonderful point-of-view and framing. Stunning contrasting light!! I really like the angles in this. Fine B&W tones and light. Good angle for this geometric building. Nice tones and light. Most definitely worth while... It's beautiful! Fabulous POV; great BW image. 5 stars. The details throughout the whole image are perfect, difficult with so many angles and surfaces...! Simple but cool architecture ! I really like the angular look of the shot. Fantastic! Love the perspective and the processing. I'm not sure I've ever seen a non-round lighthouse! An excellent image. This looks like a nice lighthouse. Perfect b/w with those crisp, white lines against the dark sky. Reminds me of Paul Strand. Very nice. I like how even the whitest white maintains some textures.